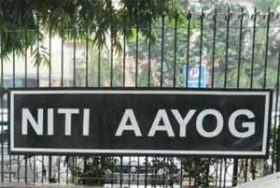 New Delhi: NITI Aayog to begin a series of Development Dialogues to engage experts, thought leaders and government stakeholders across key avenues of long-term social and economic development. The first event shall be a conference on “Health Systems for A New India: Building Blocks” on November 30. The conference will feature senior government functionaries and eminent national and international experts in the healthcare space. The idea of a health system pertains to integrating existing and future programmes, financing, human resources and policies related to all dimensions of healthcare within the fabric of an all-encompassing, inclusive, long-term, stable system. The conference is also an attempt by NITI to begin conversations around the mandated 15-year vision document for the country as a whole.